The Greater London Authority has denied that devolution of the adult education budget is at risk due to spiralling IT costs, despite warning the Mayor that failure to find the extra cash could “jeopardise” the project. The GLA is due to take control of London’s £306 million adult education budget from the Education and Skills Funding Agency on August 1, 2019. But according to the papers to be discussed by both the mayor, Sadiq Khan, and deputy mayor, Jules Pipe, at next Wednesday’s AEB board meeting, the risk rating for the programme has moved from green to amber for the first time. “There is a risk,” the paper reads, “the GLA doesn’t meet the projected overspend costs from other budgets, thus jeopardising the programme”. A prime culprit for the spiralling costs is the AEB Programme Data and Contract Management Systems being built into the functionality of an existing software system known as the GLA Open Project System (OPS). The GLA will ask the board at next week’s meeting to endorse the assembly spending a further £441,000 on system development between now and the end of July, with a doubling of the monthly expenditure. A review in February had already increased the amount of money being put into developing systems for the AEB programme, from an average of £54,000 per month to £105,000 per month, to ensure that the work was done by August. Asked why this work had been left so late, the GLA claimed that critical elements required by the launch date are in the final phase of user testing and that contingency plans were in place which could be implemented if there are any delays with the system. This means the GLA could still be developing the AEB systems days before it is meant to take control of the whole apparatus for the capital. The request for additional funding is dependent on agreement by the board, followed by the GLA’s formal decisionmaking process, which the GLA told FE Week was “a formality”. Asked what would happen if it was not approved, the GLA said this was “not a realistic prospect”. “It is standard practice for risk registers to consider a range of scenarios, however unlikely. The risk that we will not meet the projected increase in costs is not realistic because covering these costs is entirely at the Mayor’s discretion and within our capacity.” said a spokesperson. In addition to the additional IT costs, the overall cost of management and administration appears to have rocketed 50 per cent to £4.6m. 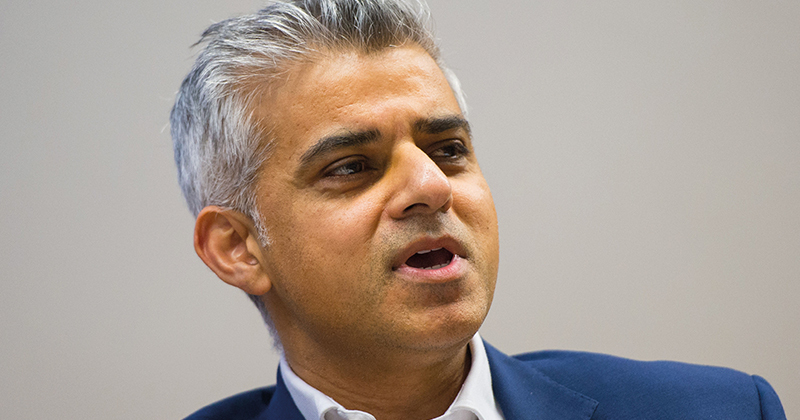 FE Week reported in May 2018 that Sadiq Khan planned to top-slice £3 million from the AEB to pay for around 70 staff to distribute AEB funding. However, the agenda for Wednesday’s minutes lists management and administration costs for 2019/20 year as £4.6 million. The GLA justified the top-slice from the AEB budget on the basis that the DfE has provided no operational funds, but refused to be drawn on why this has already grown to a predicted £4.6 million for the 12 months between August 2019 and July 2020, or the impact on staffing numbers. Who would have guessed that running a massive contract costs more in resources and staff in the heart of London than it does outside. Just more jobs “for the boys” and less actual cash helping people into work and progressing their careers.